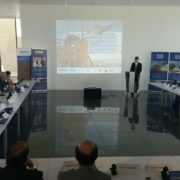 HALBAN A non-public international workshop exploring the various historical and contemporary networks and mobility on sea and on land within the Indian Ocean was launched at the History of Science Centre of the German University of Technology in Oman (GUtech) today morning. The workshop entitled: “International Start-Up Workshop Ports and Trans-Ports. Evolution and Revolution(s) in the Indian Ocean World”, is organized by the Research Centre Indian Ocean (RIO), in cooperation with Martin Luther University Halle-Wittenberg, the Max Plank Institute for Social Anthropology, Sindh University and the International Council on Monuments and Sites (ICOMOS). International scholars from various fields and from universities in Europe, the Middle East and Asia are participating in the three-day workshop. Dr. Armin Eberlein, Vice-Rector for Academic Affairs at GUtech, welcomed the delegates. In his speech he said that the workshop is held at the right time, when Oman with its unique geographical location in the Indian Ocean, prepares to be become a commercial and strategic hub in the region, focusing on trade, logistics, fishing and tourism. Prof. Dr. Michael Jansen, Director of RIO, an archaeologist and the Founding-Rector of GUtech, explained in his welcome speech that sea routes and networks develop out of needs and knowledge of places to sail to, connected with needs of ‘goods’ to be brought or taken along. Improvement of shop technology and astronomic/navigation capacity resulted in the exploitation of the Indian Ocean water ways. First interregional networks developed between the Indus Valley, Mesopotamia and Oman in the Third Millennium. Other networks developed along the river Nile, the Red Sea and the Mediterranean. Later on, many more networks developed out of which the Roman network connected the Roman Empire via the Red Sea to India, Malakka to China. This morning Prof. Jansen presented his archaeological research on Mohenjo-Daro to the audience. Prof. Dr. Khaled Douglas from Sultan Qaboos University, Department of Archeology, presented his excavations at Dahwa Inland and Coast: A case for Hinterland Ports. Dr. Denny Frenez from the University of Bologna and the Italian Institute for the Middle and Far East (ISMEO) spoke about his research “Indian Ocean Seafaring Trade in the Bronze Age. The Indus-Magan Connection”. The Research Center Indian Ocean (RIO) of the German University of Technology in Oman invites the public for a public lecture by Prof Dr. Burkhard Schnepel, Martin Luther University, Halle-Wittenberg (Germany) and Max Planck Institute for Social Anthropology. “Since its first times of seafaring, the Indian Ocean has remained the mayor life nerve for all nations living around it.” said Prof. Dr. Michael Jansen, Director of the Research Centre Indian Ocean. Prof. Schnepel is currently the Director of the Max Planck Fellowship-Programme entitled “Connectivity in Motion: Port Cities of the Indian Ocean”. He is an internationally renowned Social Anthropologist. He is also a Member of the Expert Committee on the Indian Ocean of the Foreign Office in Germany. His research areas include the phenomenon of ‘hubs’ and networks between East Africa, Mauritius, India and the Indian Ocean World. “This basic capacity of so-called ‘maritime hubbing’ was constantly refined and extended, and consequently being made use of outside the maritime world as well at various levels and in different domains or dimensions of socio-cultural, technical, economic and political life,” said Burkhard Schnepel, who is a member of a Research Group at the Research Centre Indian Ocean (RIO). He will be part of a three-day workshop on the research topic: “Ports and Trans-Ports; Evolution and Revolution(s) in the Indian Ocean World” The exclusive research workshop will take place at GUtech. 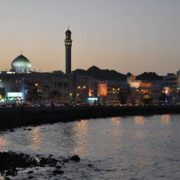 Experts from more than eight countries will meet to discuss the potentials for a large international conference to be held in Muscat in 2020 on the role of Oman in the Indian Ocean World, its past, present and future. Prof. Dr. Burkhard Schnepel’s research interests include the following areas: Divine Kingship of the Shilluk of the Southern Sudan, the Theories of Divine Kingship and Political Theology, the History of Anthropological Thought, Historical Anthropology, Orientalism, Tourism and Cultural Heritage. The fringes of the Indian Ocean including the Sultanate of Oman are not only the cradle of the three earliest World Civilizations, Egypt, Mesopotamia and Indus Valley, but also the cradle of the major World Religions, Judaism, Hinduism, Buddhism, Christianity and Islam. The Sultanate of Oman covers a central position within the interaction sphere of the earliest civilizations. Since the earliest times Omanis made use of boats as proved in Ras al Hadd. In the third Millennium contacts from Oman, at least of trading, consisted to the Indus Civilization and to Mesopotamia as again proved in Ras al Hadd, Dahwa near Sohar and Salut. Omani ports like Sohar, Qualhat, Sur and al Baleed in Dhofar played a major role. Throughout its history Oman remained in contact with the Indian Ocean World before two thousand years, with the Silk Road to the Sea along with the sea trade of the Roman Empire as proved in Khor Rohri, followed by the trade with China during the Abbasid period. With the appearance of the Portuguese in 1497 the European colonial phase started with consequences in various fields, that we may feel up to today. The most recent movements are marked by a competition for trade and influence along the important international sea and new land routes. HALBAN – The German University of Technology in Oman (GUtech) has held the “weDrone – Business Forum” at its campus in Halban today. The forum was conducted under the auspices of Dr. Mohammed Nasser Ali Al-Zaabi, CEO of the Public Authority for Civil Aviation (PACA). 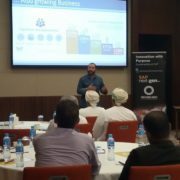 The one-day forum brought together a large number of experts and scientists from the international and local drone sector as well as local businesses that are interested in introducing drones for their operations in Oman. 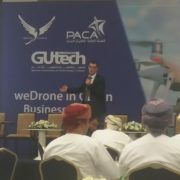 The forum was held at GUtech for the second time and it was organized in cooperation with the Public Authority for Civil Aviation (PACA) and the local company Brave Hawks LLC. According to Prof. Dr. Nafaa Jabeur from GUtech’s Department of Computer Sciences and Director of Research at GUtech, the forum aimed to connect different stakeholders in order to create awareness about the legal framework, the space management and the inspection and surveillance of drone technologies. Drones are used for example for real time analysis to monitor traffic control including traffic jams and accidents as well as to monitor construction sites, mining operations or agricultural yields. With increased mobility worldwide, the challenge is to integrate drone technologies into the air traffic and to comply with various safety regulations. Currently, it is prohibited to use drones for private purpose in Oman. According to Eng. Mubarak Al Farsi from PACA, the use of photographic aircrafts is prohibited. UNIFly, an engineering software company from Belgium has developed a software that helps to deploy drones in safe environments. Koen Meuleman, Founder and Chief Financial Operator of UNIFly showcased the software that is already applied in several European countries to the audience. Meuleman said that the software helps to monitor the flight traffic in real time to reach out to the community and to manage the access of the airspace. However, there are several threats and ethical issues related to the use of drones, such as breaching personal privacy, flying a drone over crowded places is illegal and endangering the natural environment such as birds. “We have been using drones since 2013. Their use saves us time and costs. We use them in the interior of Oman for surveying, geological mapping and for oil and gas inspections.” said Usman Jamil, Manager of GIS and 3D Data Management at Dawood Engineering Consultancy. Similarly, Petroleum Development Oman (PDO) has been using drones in the past ten years for pipeline and flare inspections, for project development and for monitoring their oil and gas operations, said Khadija Al Aisari, Head of Remote Sensing at PDO. According to Hans Van Calster and Kevin Wippermann, from Duqm Port the port will be developed into a ‘Smart Port’ in the next years, using drones for its overall operations. To promote research and development between universities and the drone industry, a Memorandum of Understanding (MoU) was signed between GUtech, Hasselt University (Belgium) and the companies Brave Hawks (Oman) and Drone Matrix (Belgium). Given the introduction phase of the use of drones in Oman, Prof. Dr. Geert Wets, Director of the Mobility Institute at Hasselt University said that it is important to conduct research case-studies along with the development of the drone sector in Oman. “Through our research projects we wish to further collaborate with the government, businesses and the education sector to to create joint competencies for the production and a responsible use of drones in Oman and in the region,” said Prof. Dr. Nafaa Jabeur. 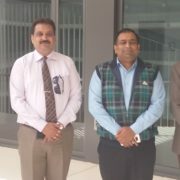 HALBAN GUtech was pleased to welcome Dr. Rajeev Kumar Chauhan, Principal of the Indian School Muscat and Dr. Ram Shankar, Joint Secretary of the Central Board of Secondary Education (CBSE) on campus today morning. 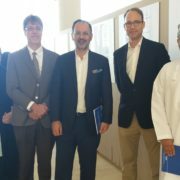 Dr. Armin Eberlein, Vice-Rector for Academic Affairs and Dr. Manuela Gutberlet, PR Manager at GUtech welcomed the guests and showed them around campus They also met with academic staff members of different departments. GUtech started its academic summer semester today. 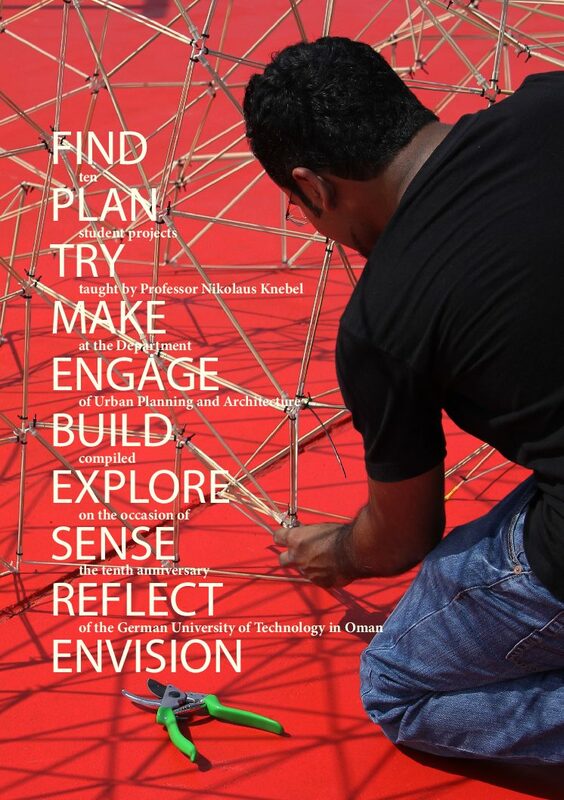 HALBAN The German University of Technology in Oman (GUtech) will hold the “weDrone – Business Forum” on Wednesday 27 February at its campus in Halban. The forum, organized for the second time by GUtech, will be held in cooperation with the Public Authority for Civil Aviation (PACA) and the local company Brave Hawks LLC. The forum aims to bring together experts and scientists from the local and international drone sector. 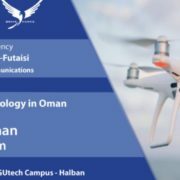 In April 2018 GUtech was the first institution in Oman to address the increasingly important topic of drones. “We are engaging with different stakeholders from Oman as well as from abroad to create awareness about the local legal framework, the management of space where drones are operating, and some critical uses of drones including the inspection and surveillance. During the upcoming event we would like to showcase the different potentials of drones for Oman and we wish to motivate the government, businesses and the education sector to collaborate and create joint competencies for the production and the use of drones in Oman,” said Prof. Dr. Nafaa Jabeur, a drone expert and the main organizer from the Department of Computer Sciences and Director of Research at GUtech. “Oman is in the first stage of developing a drone industry, the usage of drones and the legal framework that fit to the local and regional context. The use of drones is not only about regulations but most important about a responsible, ethical use and behaviour when using drone technologies,” said Prof. Dr. Nafaa Jabeur. Other topics that will be covered during the upcoming weDrone Business Forum will be the application of drones to support sustainable energy management or logistics. Currently drones are used to monitor operations in the oil and gas industry as well as in agriculture, construction and filming. For the professional use of drones there is a legal framework in place, however regulations regarding the use by laymen and hobbyists are under review by the government. The participation in the forum is free of charge. 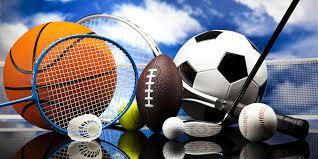 The registration is open until 26 February. BERLIN The Rector of GUtech, Prof. Dr. Ing. Michael Modigell, had the honour to meet with H.E. 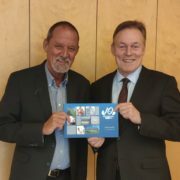 Thomas Oppermann, Vice-President of the German Bundestag (Parliament) at his office in the capital Berlin last week. During the bilateral meeting they discussed ways to further strengthen the ties between GUtech and Germany. During an official visit to the Sultanate, the Vice-President of the Bundestag visited the GUtech campus and spoke with the Rectorate and with a number of students from the Student Council last October.